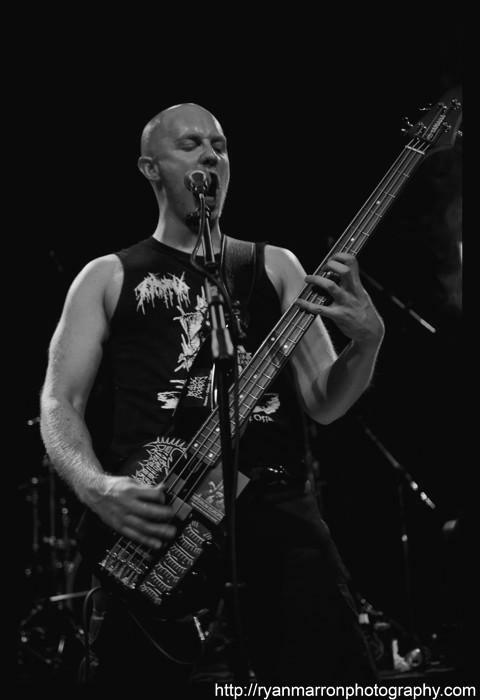 Home / interviews / Interview with Barghest of Spearhead!!! WULF: How has the reception for this album been so far on your end? BARGHEST: The reception has been very good so far. 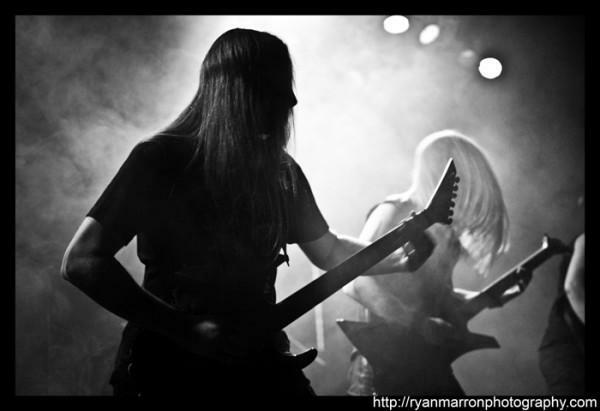 WULF: I would describe Spearhead’s sound as relatively straightforward metal, but with allegorical, abstract lyrics and concepts. What were you aiming to acheive with this album, and was this album aimed at a specific audience in particular? Do you feel as if you’ve accomplished these goals? BARGHEST: I don’t think there’s a great deal of allegory surrounding the lyrics, and the only abstract conceptions are abstract because they are metaphysical. We certainly planned on making a straightforward album, by which I mean plain-speaking, hostile and belligerent blackened death metal; there’s nothing subtle or equivocal about this album I feel. There is variation in the music – time changes, break-downs, etc. – but the focus was definitely on making a relentless and hateful-sounding album. I think we have achieved this with “Theomachia”. We do not have any specific “audience” in mind when crafting our music – we are not out to please anyone whatsoever. WULF: While I understand that on “Theomachia” some of the lyrics involve the common misconceptions held by most people regarding ideas like “progress” and “pacifism”, I get a strong sense of anger coming from your music as well. Would you agree? Or are you simply attempting to convey these ideas through aggressive music? I guess what I’m asking is how much of a role does actual anger play in your music? BARGHEST: “Theomachia” is a genuine work of considered and focused hatred, so there is of course an element of anger pervading the music. The lyrics aren’t generally anger- or angst-oriented or anything like that though, yet what is said is done with a degree of force. I think if we were a bunch of hippies or something, with no anger in our blood, we would not be able to create this kind of music with any conviction. And I think you will find Spearhead has more conviction than a lot of other current bands in this genre. WULF: Obviously, it’s important for listeners to have their own interpretations of lyrics and lyrical themes when listening to music, but would you care to discuss the meaning behind the word “Theomachia”, and perhaps in general some of the themes and ideas you explore on this album? 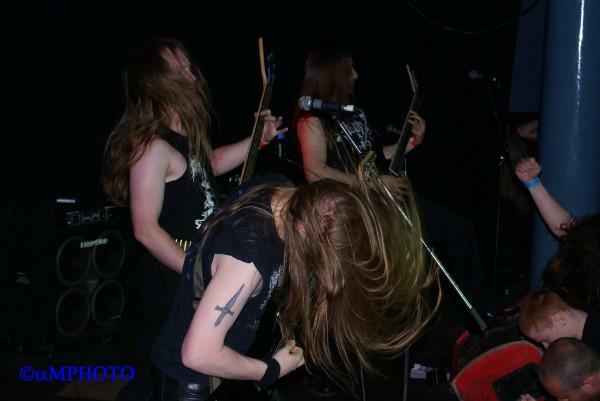 BARGHEST: I disagree that listeners ought to have their own interpretation of the lyrical subjects. This seems to be only something for bands with poorly considered lyrics. You end up with a superfluity of meaningless opinions this way – isn’t there enough of a problem with a superfluity of opinions? “Theomachia” (or “war of the gods”) refers to the common mythic motif of a divine conflict that precedes the cosmic or aeonic dissolution. This motif is probably more commonly known as the Norse myth of Ragnarok, but parallel conceptions are found in the Indic epic the Mahabharata, and in the Iranian/Zoroastrian mythos for example, as well as elsewhere. The cosmic dissolution and the declining cycle of ages is also something prevalent in a number of ancient world mythologies and cosmologies. “Theomachia” is all about the inevitable march of decay and degeneration, and the self-mastery that the last man must attain if he wishes not to rot among the ruins of the last age, before the cycle of time continues. But I’m not expounding anything new here – this is old wisdom. WULF: Your interviews are quite fascinating. Obviously, you are often asked about your musical influences, but I’m curious as to if you are influenced by any specific writers or literature? You’re quite well-informed when it comes to history, weapons, warfare, etc. Also, I have to ask if you are familiar with the writings of Robert Greene, author of books like 36 Strategies of War and 48 Laws of Power? Just curious. BARGHEST: There is a certain amount of literary influences that have found their way into “Theomachia”, explicitly or otherwise. To name just a few direct influences: Spengler’s “The Decline of the West”, Evola “Revolt Against the Modern World”, Machiavelli “The Prince”; and mytho-philosophical works such as the Bhagavad Gita, the Eddas, Hesiod’s “Works and Days”, etc. I’m not familiar with Robert Greene, but I’ll check him out. 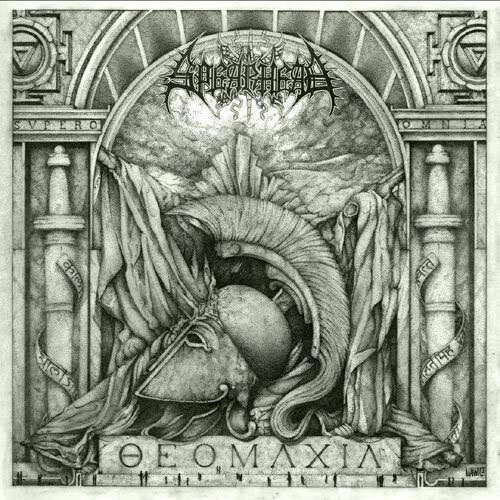 WULF: The artwork for “Theomachia” is great. Would you care to discuss the meaning behind this artwork a bit? Who is the artist? BARGHEST: The artwork was done by Manuel Tinnemans. I don’t want to go into this here in too much detail, but if you study the front cover you will see some relevant motifs, such as the Kali Yantra, some text excerpted from the Bhagavad Gita (11:32), etc. But perhaps you will be able to interpret yourself the meaning of the distant horizon that is flanked on each side by the trappings of war. WULF: On a personal level, I must ask…are you or anyone else in the band a fan of wargaming (tabletop, video games, etc.)? BARGHEST: No, I don’t think so. I used to play the Warhammer games a bit when I was a kid, but I don’t have the time nowadays. If you want to play a classic strategic, war-based board game, and you have a few hours to spare, “Risk” is good. WULF: What are some future plans for the band? Is touring over here in North America something you’re interested in? While I don’t feel like a DVD or music video is especially your style, but I could be wrong…do you have any intentions of doing anything visually like this down the road? Also, your previous interviews are always fascinating and you guys definitely have some interesting philosophies and worldviews…have you ever thought about putting out something non-musical, like essays or a manifesto? BARGHEST: We are currently looking into tour options. Another tour across the US would be good of course, but perhaps not in the immediate future; Europe needs re-conquering first! I can’t see anything like a music video working for Spearhead at the moment. Our standards are pretty high, and we’d probably need an exceptionally high budget to satisfy the requirements a good and appropriate video would entail. We’ll leave this to the MTV bands for now..! I don’t think I have any real desire to put out an essay or manifesto, because I’m not interested in changing how people think. I am quite happy to let people rot in ignorance. Besides, there are plenty of good books out there for those who disagree with pacifism, modernist values in general, humanitarianism, etc. I wouldn’t be adding anything new. WULF: Thank you again for taking the time to do this interview! Any final words or comments are yours! BARGHEST: You’re welcome. Thank you for your support. Svpero Omnia! Answered by Barghest 1st Jul 2011.